How to describe Daniele Silvestri in few words? Well, FUN & POLITICAL ENGAGEMENT: he has a gift for telling stories of criminality, injustice, poorness and rebellion with a magic taste of happiness. His concerts are always a surprise: one different from the other, full of energy, rhythm and beautiful lyrics. 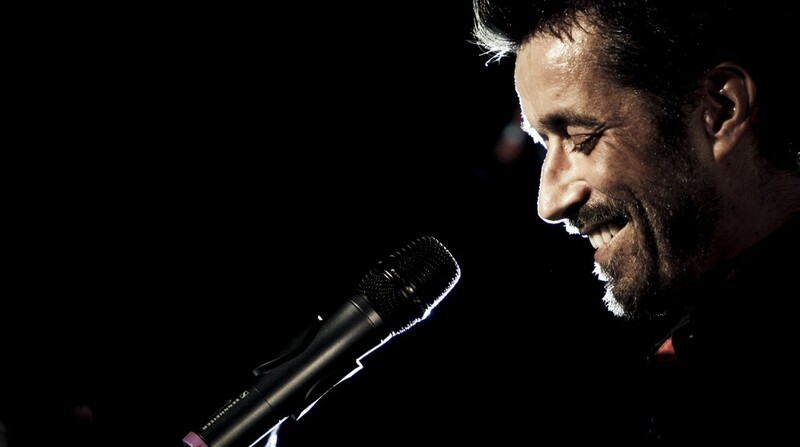 Born in Rome in 1968 he traveled across the Italian music scenery with a handful of albums, always successful with the public and praised by the critics for their high musical quality and creativeness. From his first album release Daniele Silvestri listed an impressive amount of awards throughout his career: two times the prestigious Tenco award, once the Musica&Dischi as first release and again as best album in ’95, and of course the award at Sanremo festival for best lyric in the same year, and again in ’99 with hit “Aria”, song against the penal death, which won both the Critics and the Jury Awards. In the meantime, Silvestri wrote several film soundtrack and songs for theatre plays, winning the Ciampi Award, the Mariposa Award and the Lunezia Award. Daniele Silvestri seems to have plenty of energy to invest in his projects. 2011 was the year of “S.C.O.T.C.H.”, the title of his new cd that quickly went “gold”. This album featured several top Italian Artists (Gino Paoli , Stefano Bollani , Peppe Servillo from Avion Travel , Bunna from Africa United…). The first single “Io non mi sento Italiano “ , composed by the acclaimed songwriter Giorgio Gaber, was number one in radio airplay for several months. What else can we say? … At this point one can only go and enjoy his music live!